Up Next: Carolina Gameday is live from the Firefly Mobile Studios on September 2, 2017 for South Carolina vs NC State live from Charlotte, North Carolina! Carolina Gameday is Charleston, South Carolina’s football pregame show on ESPN Radio 98.9FM and 910AM. Gameday broadcasts live from the Firefly Mobile Studios at The Loose Cockaboose across from Williams- Brice Stadium in Columbia during home football games and from the Firefly Home Studios during away games. Hosted by Bobby Hartin and Jamie Bradford, Carolina Gameday has become a household name in the Lowcountry, gearing Gamecock fans up for each week’s big game. Gameday airs every week, beginning five hours before kickoff and hosts a former Gamecock football player as a guest in their weekly Carolina Conversation. The show ends each week with former Gamecock wide receiver Michael Flint giving Carolina fans the Road to Victory that day. Between those two segments, Bobby and Jamie give you tons of insight on the day’s game, provide scores and injury updates, take your calls on the air, and more! 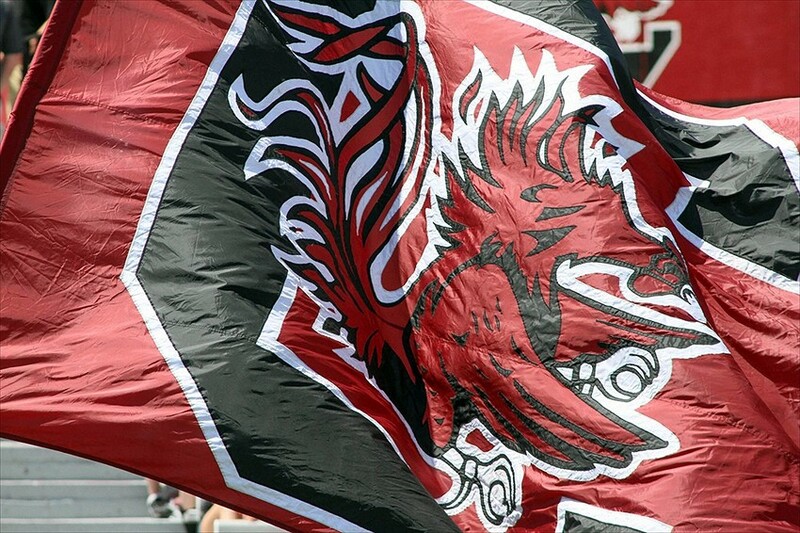 Join us for every game during football season on ESPN Radio 98.9FM or 910AM and allow Carolina Gameday to get you in the Fighting Gamecock spirit! FIND US LIVE AT THE LOOSE COCKABOOSE IN COLUMBIA BEFORE ALL HOME GAMES!